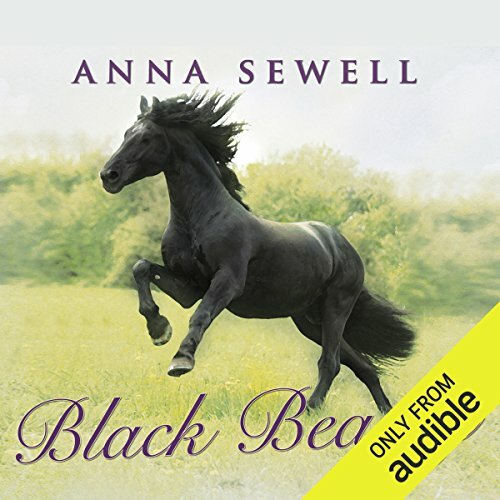 Showing results by author "Anna Sewell"
In this classic story, set in Victorian England, a well-born colt tells his life story, from his early years in a pleasant meadow to his experiences as an elegant carriage horse and then an overworked cab horse. 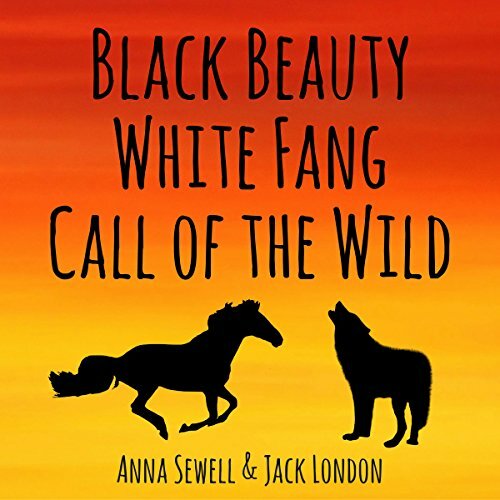 As he passes from one owner to another, some gentle, some cruel, Black Beauty tells a moving tale of an animal's perspective on the human world. 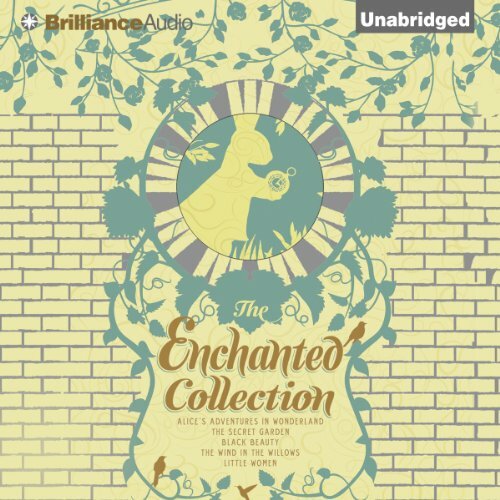 Enjoy the classics with help from narrator. The story of a beautiful thoroughbred horse abused by its owners is also a story of courage and love. It is one of the greatest children's classics. When Black Beauty is just a foal, his mother tells him to be gentle and good, hard-working and obedient to his humans always. Beauty's first job, as carriage horse to Squire Gordon, rewards his good behavior. But when the Gordons fall on hard times, Beauty is sold to an estate whose mistress insists on the bearing rein, a device that forces a horse's head into an uncomfortable but chic position. After scarring his knees in a fall, Beauty is sold once again, to a hard life in a livery stable. 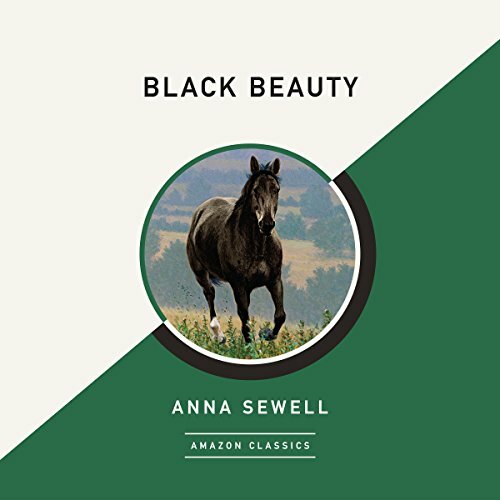 Framed as a first-person narrative from the eponymous horse, this much-loved family classic follows Black Beauty's journey from a well-born colt to a painfully overworked cab horse. 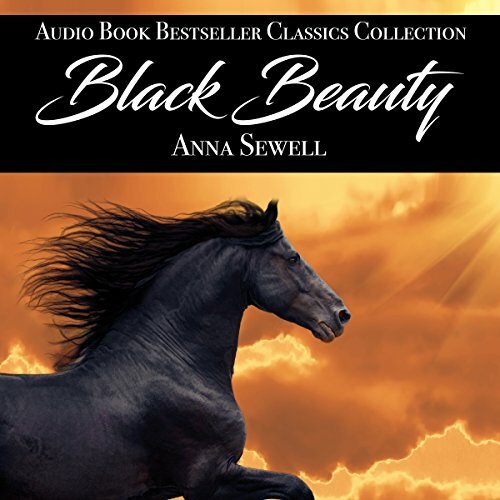 Brimming with vivid detail and relatable characters, each chapter of Black Beauty's long and varied life communicates an important message about kindness, sympathy and understanding. Animal lovers of all ages will cherish this memorable story. 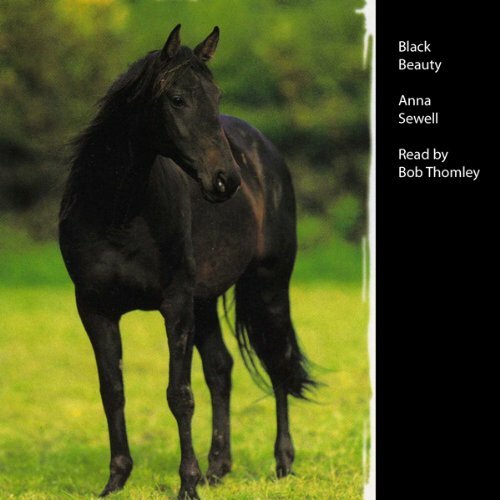 Perhaps the most celebrated animal story of the 19th century, Black Beauty is the suspenseful and deeply moving account of a horse's experiences at the hands of many owners - some, sensitive riders who treated him gently; others, cruel drivers who thoughtlessly inflicted lasting damage. This is supposed to be Unabridged but it is Abridged! 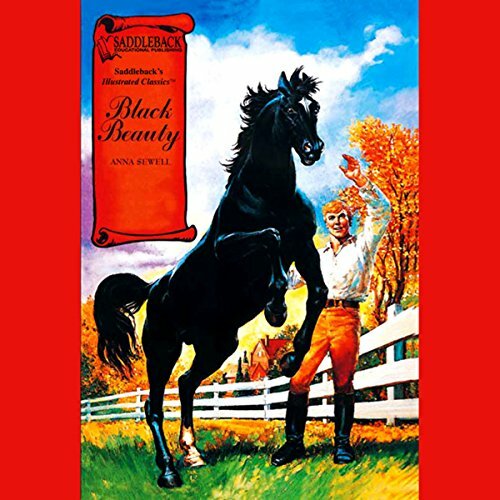 With 50 million copies sold, Black Beauty is one of the best-selling books of all time. While forthrightly teaching animal welfare, it also teaches how to treat people with kindness, sympathy, and respect. 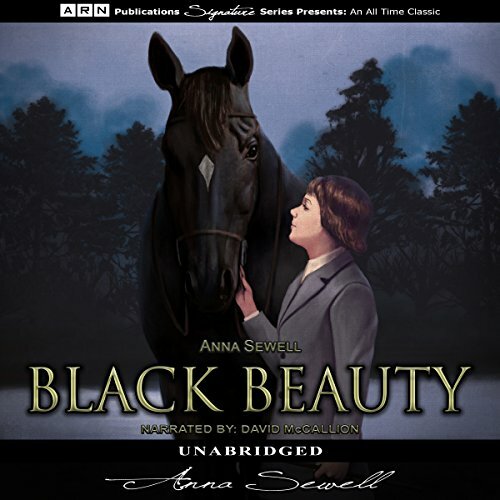 The story is narrated in the first "person" as an autobiographical memoir told by a horse named Black Beauty—including his carefree days as a colt on an English farm, his later difficult life pulling cabs in London, and his happy retirement in the country. 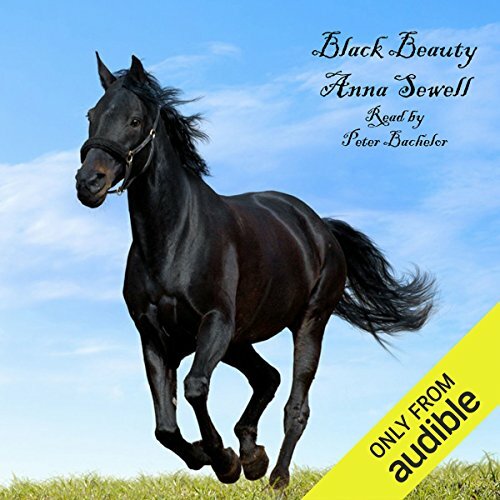 From the meadow of his youth to the crowded, frosty streets of London, Black Beauty tells the story of his life under many masters in Victorian England, among them the kind Squire Gordon, the principled Jeremiah Barker, and the exploitive Nicholas Skinner. No matter the circumstance, Beauty bears joy and hardship with grace, heeding his mother's advice to be good, gentle, and hardworking - always. 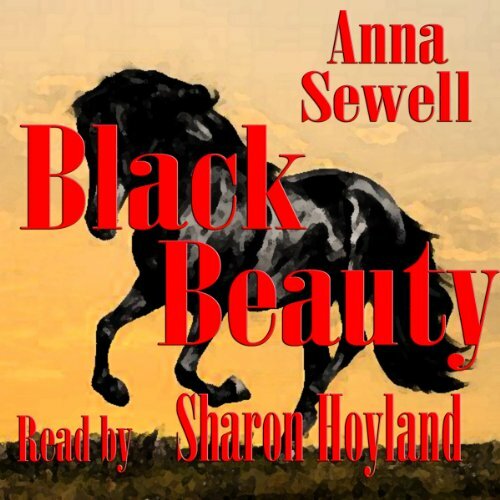 Black Beauty is an 1877 novel by English author Anna Sewell. It was composed in the last years of her life, during which she remained in her house as an invalid. 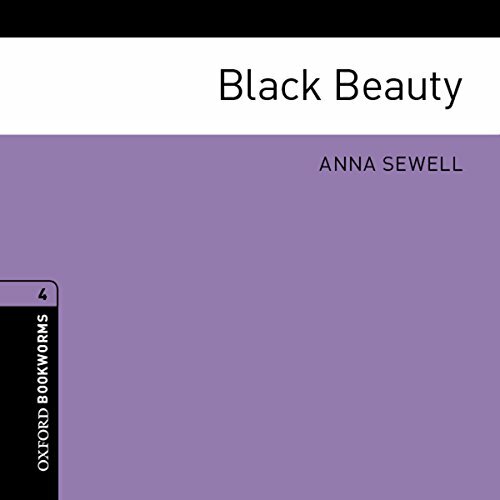 The novel became an immediate best seller, with Sewell dying just five months after its publication, but having lived long enough to see her only novel become a success. Every girl's favorite book about horses, this beloved autobiography of a carriage horse in 19th-century England is filled with humor, drama, intrigue, and hope. 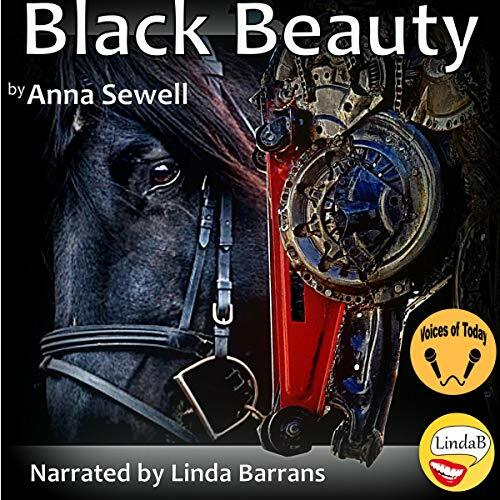 Follow Black Beauty as he leaves his happy colt-hood home to follow his destiny as a carriage horse, and to the destructive life of a cab horse in London. 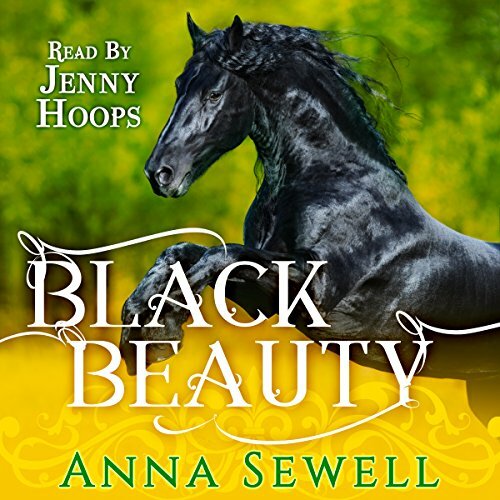 You'll meet the whole series of Black Beauty's people, from devious, nasty Seedy Sam to the most wonderful of grooms, James Howard, and his cab-driver Jerry Barker and his cheerful family, and finally Black Beauty's saviour, Joe Green. Sometimes he came round and patted me, saying in his quiet, pleasant way, "This horse has got a good master, and he deserves it." It was a very rare thing for any one to notice the horse that had been working for him. I have known ladies to do it now and then, and this gentleman, and one or two others have given me a pat and a kind word; but 99 persons out of 100 would as soon think of patting the steam engine that drew the train. 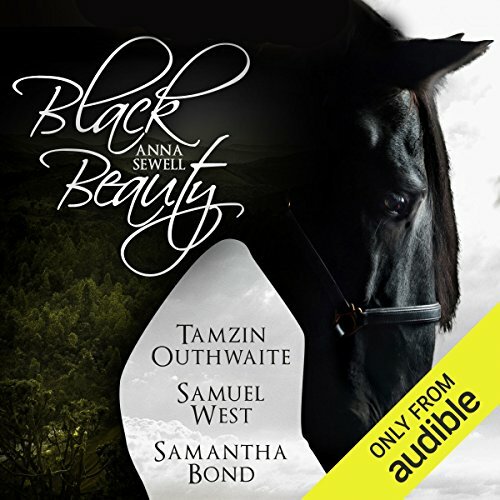 This is the heart-warming story of Black Beauty, his masters, and his friends. 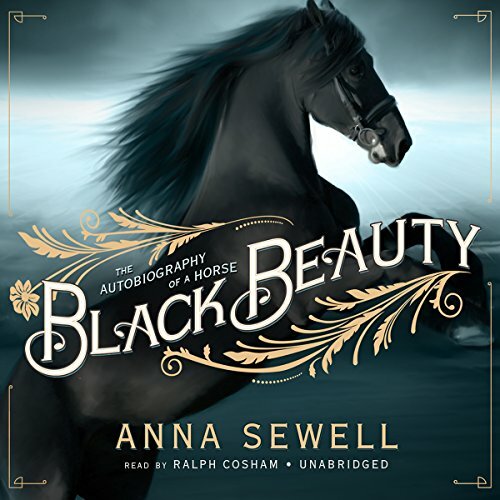 Black Beauty is an autobiographical memoir detailing the journey of a horse, from his whimsical days as a young colt on a farm in 19th Century England, before moving on towards tough times hauling cabs in London and finally ending with a peaceful rest in the country. 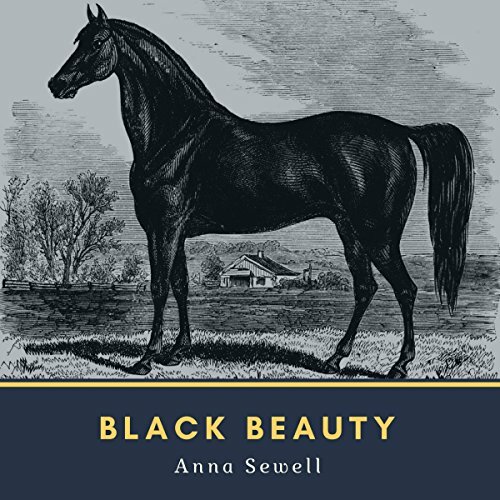 From its first publication in 1877, Black Beauty has been one of the best-loved animal stories ever written. 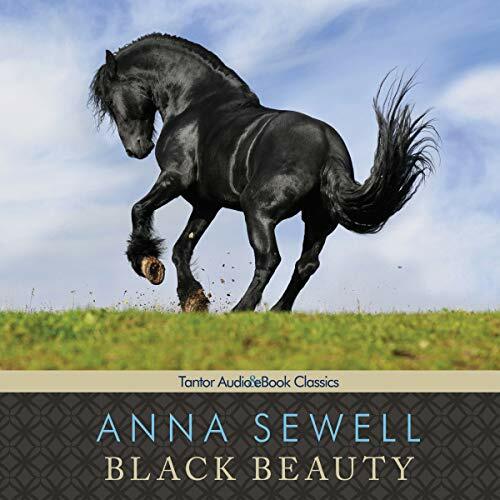 The dramatic and heartwarming tale is told by the magnificent black horse himself, from his idyllic days on a country squire’s estate to his harsh fate as a London cab horse and his merciful rescue by two kindly old ladies. Filled with vivid anecdotes about animal intelligence, the novel derives a special magic from the love of all creatures, great and small, apparent on every page. This is the autobiographical account of a highbred horse whose adventures span from his youth on a farm to his difficult life pulling cabs in London; a story about sympathy and understanding of horses and other living creatures around us. 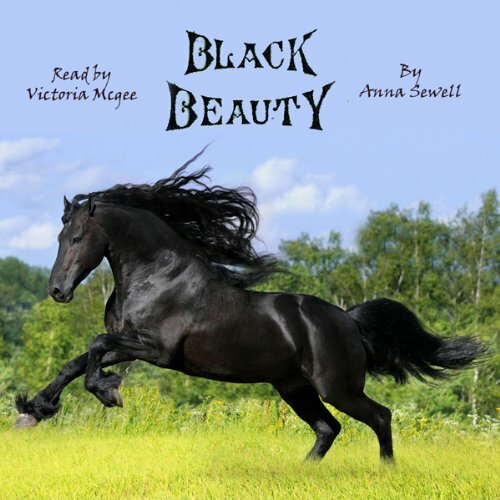 Black Beauty is brought to life in this evenly paced, easy to listen to audio drama. A subtle blend of music and sound effects immerses you into the atmosphere and many characterisations. Enjoy following the adventures of this noble young horse through a rich mix of 19th-century life in England to happy endings in his last home. 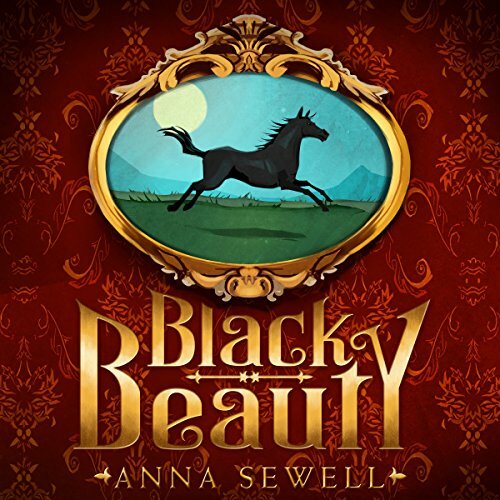 Anna Sewell did not write Black Beauty as a novel for children. She said that her purpose in writing the novel was "to induce kindness, sympathy, and an understanding treatment of horses". The book broke records for sales and is the sixth best seller in the English language. When Black Beauty is trained to carry a rider on his back, or to pull a carriage behind him, he finds it hard at first. But he is lucky - his first home is a good one, where his owners are kind people, who would never be cruel to a horse. But in the 19th century many people were cruel to their horses, whipping them and beating them, and using them like machines until they dropped dead. 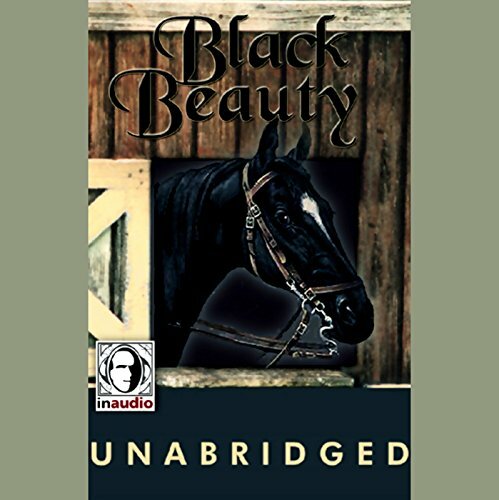 Black Beauty soon finds this out, and as he describes his life, he has many terrible stories to tell.